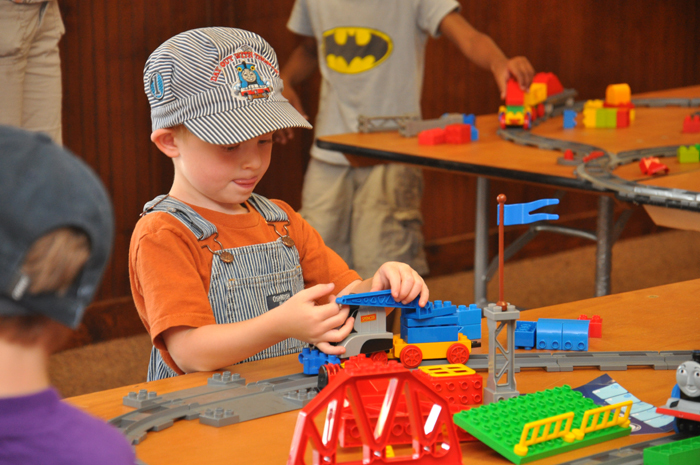 Add a Common Core-aligned LEGO classroom program to your class field trip at the B&O Railroad Museum. 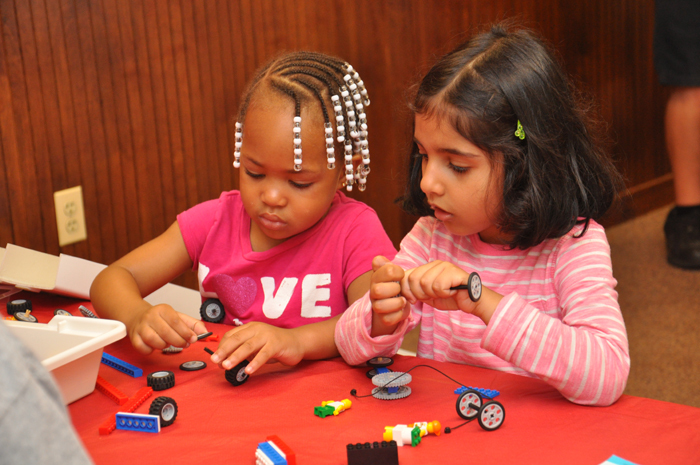 B&O Museum educators now offer Science, Technology, Engineering, & Math (STEM) programs on-site for your class. LEGO bricks, worksheets, and railroad related objects are included with these hands-on learning experiences for your students. This hands-on array of guided activities will teach students about simple machines and what makes them not always so simple. Using LEGO® education kits, students will build and test examples of simple machines and gain a stronger understanding of what “mechanical advantage” means. 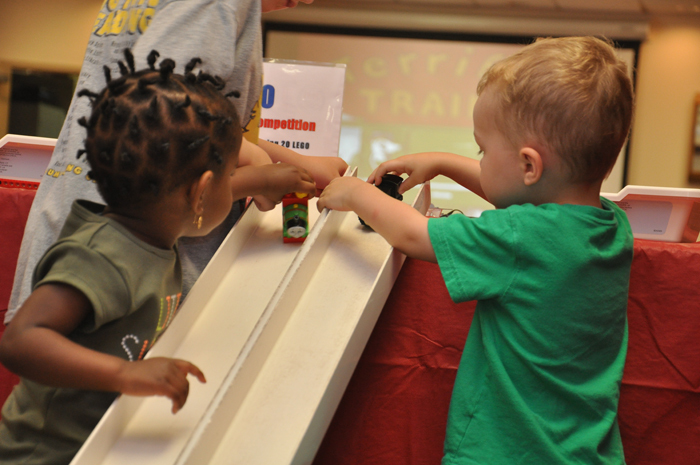 Students will also have unique opportunities to see how simple machines are used in railroading. Cost: $12 per student or an additional $2 per student when added to a reserved prepaid group; prepaid reservations required 3 weeks in advance of scheduled trip or class. To book a field trip click here. This hands-on program allows students to work in small groups to solve a series of engineering challenges using their imaginations and LEGO bricks. In addition to engineering and technology concepts, students will also enhance their problem solving and communication skills while working as a team. This program is a great primer for students interested in robotics and engineering competitions. Cost: $14 per student or an additional $2 per student when added to a reserved prepaid group; prepaid reservations required 3 weeks in advance of scheduled trip or class. Homeschool students are invited to join B&O educators to begin their exciting journey towards grasping engineering and robotics with Simple Machines. This weekly program is offered for 8 consecutive weeks. B&O educators lead students through exciting and challenging LEGO builds designed to help them master simple engineering concepts with pulleys, levers, gears, wheels, motors and doors. Students will love constructing Ferris wheels, cranes, trains, bridges and many other fun designs. The concepts are reinforced with project based learning and everyone involved is sure to get the help they need to succeed with the quality LEGO Education materials coupled with the B&O’s creative hands-on approach to Science, Technology, Engineering, & Math (STEM) learning. Overview: Students build scientific models which incorporate gears, pulleys, levers, wheels, and of course LEGOs! Goals: Introduce and reinforce basic engineering concepts and test students on the scientific method and the creative engineering process. Requirements: No experience necessary! Students should bring a positive attitude towards learning and the desire to learn by playing with LEGOs. Evaluation: The last two sessions require participants to develop their own models and program them to reach their own objectives. This approach allows them to create and test themselves based on their own comfort and experience levels, while also fostering teamwork and collaboration. Cost: $100 per child (includes admission for 1 adult chaperone); one month prepayment required.